Fuel poverty – an issue affecting 2.35 million people in England alone, one that has wide-reaching causes and implications not only for those directly affected, but also for the wider society and economy. Annually, It costs the NHS approximately £1.36m as a major contributing factor in several thousand deaths from the cold weather and thousands more hospital treatments for related illnesses. With no long term policy support, it is fast becoming a major public policy issue. 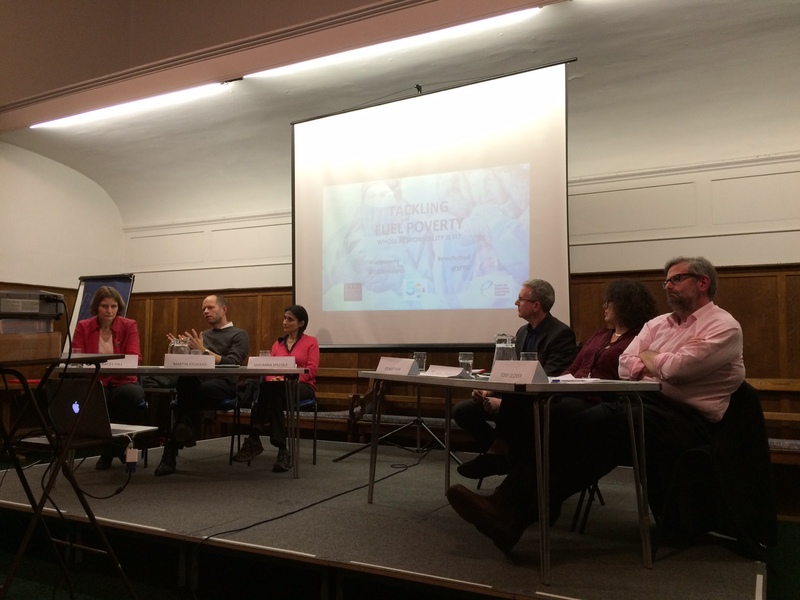 On 10th November in central Brighton, these issues were the subject of a lively public debate hosted by the Centre on Innovation and Energy Demand (CIED) that is based in SPRU, University of Sussex, as part of the ESRC Festival of Social Science. The discussion was an opportunity to debate the social, political and economic challenges surrounding fuel poverty, and to ask whose responsibility it is for tackling it. There didn’t seem to be an obvious answer, which is problematic in itself, because it seems that there is currently no public body or organisation responsible for some of the most vulnerable in society facing a daily decision about what essentials to cut out in order to fuel their leaky UK homes. Representing industry was Martin Aylward, from EDF Energy, and Tony Glover, from Energy Networks Association; Tracey Hill represented the Local Brighton and Hove Council, Jane Eyles from BHT Housing Services presented insights from a social housing provider, Ed Matthew from the Energy Bill Revolution gave a specific campaigner perspective, and the community energy sector was represented by Giovanna Speciale, Director at South East London Community Energy (SELCE). Perhaps the most important voices were missing from this discussion; no-one, either on the panel or in the audience, were actually living in fuel poverty. This isn’t surprising, as SELCE founder Giovanna Speciale pointed out, who explained that people living in fuel poverty don’t self-define themselves as such, either because they don’t realise it, or because of the stigma. However, a short film produced by SPRU researcher Nicolette Fox highlighted some of the issues that people affected by those circumstances can experience, and a local initiative which seems to be helping the families involved. 1. Why does fuel poverty exist in the UK today? Existing definitions of fuel poverty are problematic as they easily exclude some people by focusing only on income. SELCE simply ask people three questions: 1) are you having trouble paying your energy bills; 2) are you having to cut spending on other areas of your life, e.g. food, in order to pay your energy bills and 3) does your home leak energy. If the answer is yes to all of the three questions, SELCE considers you to be fuel poor and will offer help. In addition to the complexities related to the definition of fuel poverty, it is often also difficult to identify those who are fuel poor or vulnerable to fuel poverty. Fuel poverty arises due to three factors: cost of energy bills, household income and energy efficiency of homes. It also has health implications, as those living in cold homes are more likely to suffer from respiratory diseases, anxiety and depression. The UK doesn’t have the highest gas and electricity prices in Europe, but it does have the highest levels of fuel poverty, which is largely due to its leaky, old housing stock. If we are to tackle the problem as a whole, we need to make homes more energy efficient. However, while the low hanging fruit has already been picked, the deeper retrofit is more costly and requires policy support, which is currently lacking. Despite the issues and problems, there are opportunities to make progress. These include measures such as the Energy Bill Revolutions‘s campaign to make energy efficiency a priority, which amongst other factors aims to deliver both economic growth and warm homes. 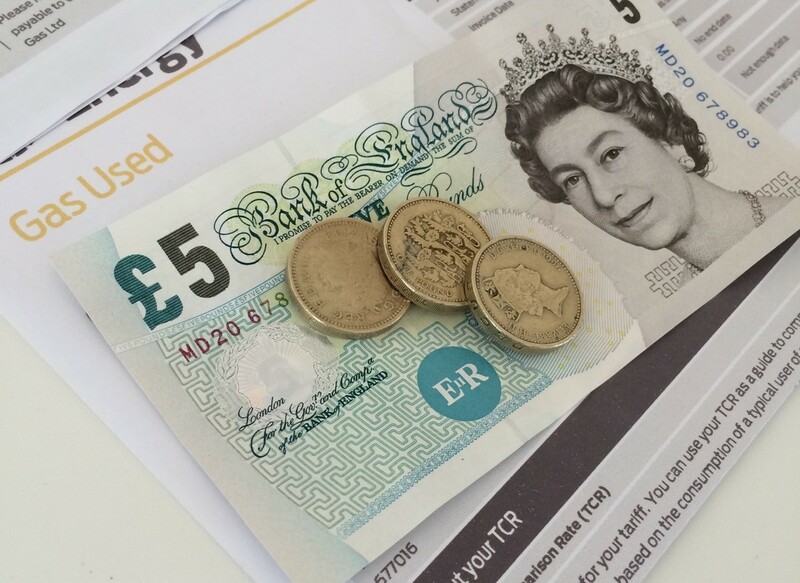 Housing Associations who improve energy efficiency of their housing stock not only manage to reduce fuel poverty amongst their tenants, but also protect their own income stream since tenants who are lifted out of fuel poverty are also more likely to be able to pay rent. Other measures such as installing smart meters can improve communication with customers and provide first tools for customer empowerment. There will be more opportunity for energy network providers to work with the public to analyse their energy usage and manage their energy demand. However, if smart meters are going to be helpful in a fuel poverty context, the question will be how to prioritise getting them into the homes that will benefit the most, as the roll out is currently random. Whilst innovation in products, tariffs and services is good, it needs to be less complex. EDF confirmed that switching tariffs was the most effective way for a consumer to reduce their energy bill. But is that empowering customers or confusing them? If that is the only way to empower consumers to reduce energy bills, then energy companies need to make them easier to understand in the first place, a point which EDF recognised and said they had put effort into improving. 3. So who should deal with fuel poverty? There was no single answer to this, but the panel discussion indicated that several organisations are involved in dealing with the issue. There is a need for co-operation, creating networks and partnerships between different organisations. Some actors have a better understanding of the issue and what it is like to live in fuel poverty (e.g. housing associations) and easier to access to those who are vulnerable to fuel poverty (e.g. community groups and housing associations), while other organisations may have more resources to tackle the issue (e.g. energy suppliers). What came across clearly from the panel discussion, however, was that government action on its own has not been enough, especially in recent years as cuts to public services and key policies have been affecting local authorities, community groups and housing associations in particular. It was an illuminating discussion, but highlighted the fact that more action is needed. We hope that the Westminster Hall debate in Parliament scheduled for 24th November 2015 may help make this a Government concern. Sarah Schepers was Centre Manager at CIED until 2016.